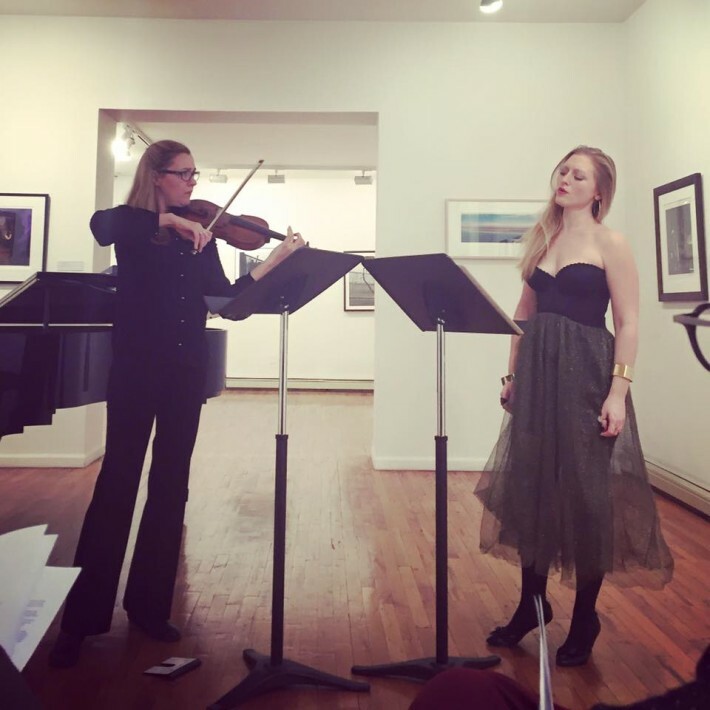 On January 20th, 2016, Stone Mason Projects produced a concert of contemporary chamber music at the Wilmer Jennings Gallery in NYC, hosted by Kenkeleba House. The concert, featuring performers Sarah Hawkey, soprano, Kaya Katarzyna Bryla-Weiss, violin, and Mila Henry, piano, included premiers by Pamela Stein Lynde and Abraham Morrison, as well as Christopher Cerrone’s I Will Learn to Love a Person. Enjoy this video of Pamela Stein Lynde’s I Will Not Be Silent from that evening’s concert.